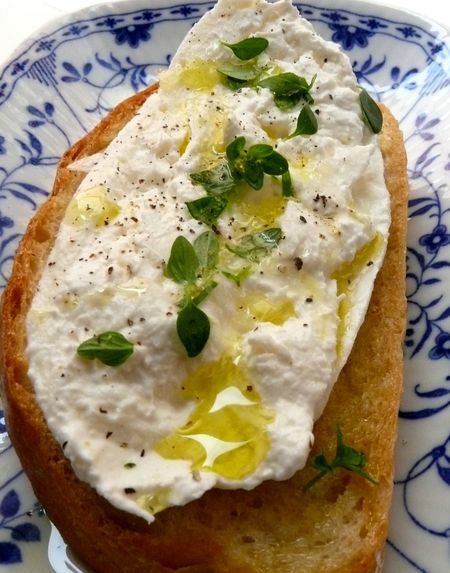 …burrata. A special, and not altogether inexpensive treat, it’s a fresh buffalo mozzarella pouch housing a thick cream and more of the remnant strands of mozarella that make up the pouch itself. 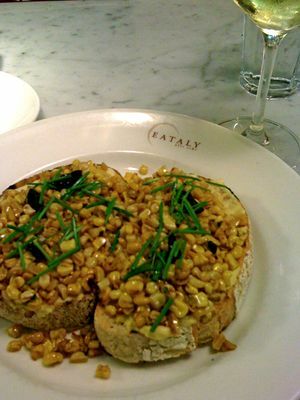 It can be enjoyed a number of ways but I always want it the way you see pictured here. Eat and ascend to the heavens simultaneously. 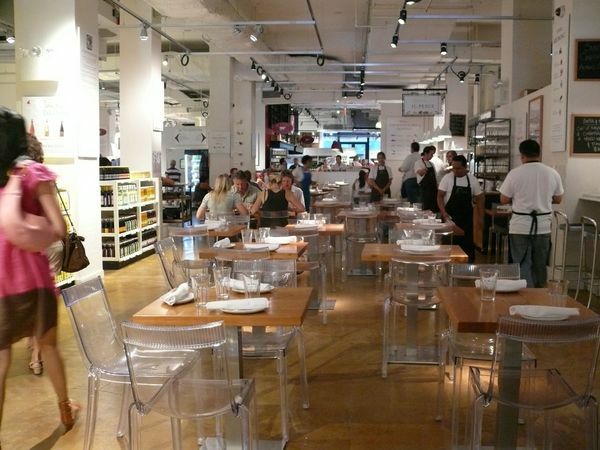 But back to Eataly–the new Italian grocery/eatery on W23rd and 5th in Manhattan. 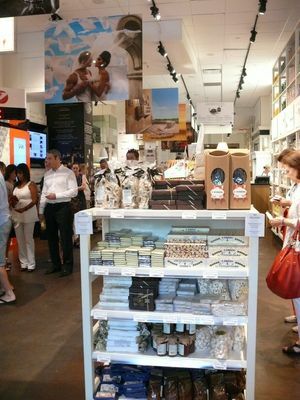 I love Lidia Basianich and since she is a partner in Eataly, I was secretly hoping to see here there. Nope. I guess our meeting is slated for the future instead. I was impressed nonetheless. 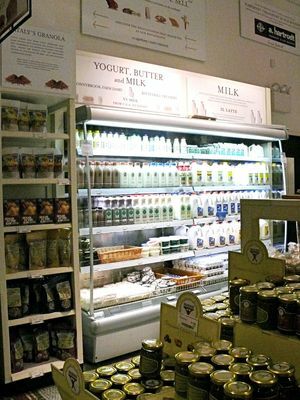 The upscale grocery aisles are filled with imported dry pastas and local, organic yogurt, with gourmet prepared foods for sale to go, and also meat, cheese, and wine bars surrounding marble counter tops at which you stand and eat the picnic-basket items you just secured. 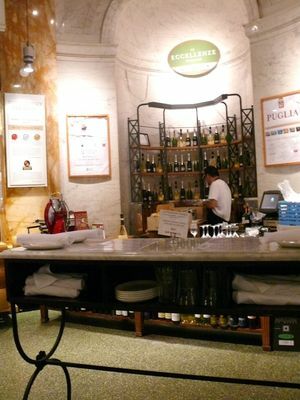 Surrounding that are three small, barely cordoned-off restaurants, one focusing on seafood, one on vegetables. Sounds chaotic but it all flows rather nicely. 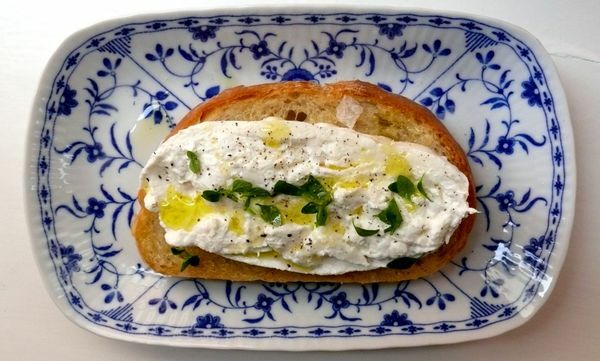 I ate dinner alone at the counter of La Verdure one night, met a few locals who lived on the block and popped in after a long day at the office for good food and a glass of wine, and relished my crostini.